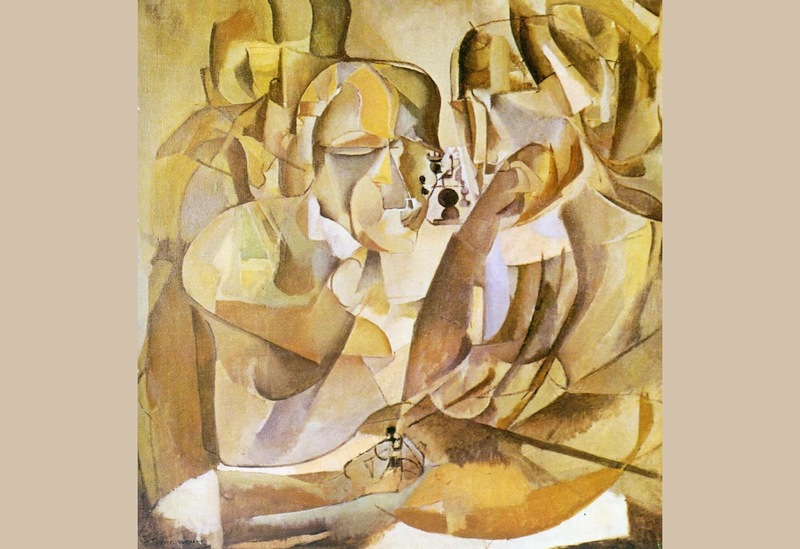 Portrait de joueurs d'échecs (Portrait of Chess Players), 1911, oil on canvas by French artist and chess player Marcel Duchamp (1887−1968). Courtesy of WikiArt. In 1770, at the court of Empress Maria Theresa of Austria, Wolfgang von Kempelen unveiled the Turk, the world’s first chess-playing automaton. Encased in an elaborate cabinet with visible gears and cogs, the machine was able to play chess against a human opponent—and more often than not it won. On top of the cabinet, a life-sized costumed mannequin with turbaned head and robe-cloaked torso straddled one side—thus, the name. After its debut in the empress’s court, the machine’s fame spread throughout Europe and, a decade later, von Kempelen took it on tour. Among the challengers in Paris was a bemused Benjamin Franklin, who lost his match. Before each demonstration, von Kempelen would open various doors and compartments so that spectators could inspect the machine’s elaborate inner workings. Although many observers were skeptical, no one could adequately explain how it worked. The most common theories were that von Kempelen was somehow able to operate the machinery remotely or that a child, dwarf, or amputee was hidden away in a secret compartment. When its creator died in 1804, the machine and its secrets were sold to Johann Mälzel, who continued the tour throughout Europe, across the Channel to England, and eventually to America. One young man who was impressed but skeptical was Englishman Charles Babbage, who was sure the machine was a hoax but began to wonder if such a thing were really possible. Soon after his own games against the Turk (he lost both), Babbage published the first designs for his Difference Engine—the world’s first automatic computing machine. His autobiography, which appeared in 1864, reaffirmed his belief in the inevitable development of game-playing machinery, and late in life he included in his journals schemata for a tic-tac-toe automaton. By the middle of the century, after fascination with the machine was finally exhausted, the Turk was, of course, unveiled as a hoax that had fooled audiences for nearly eighty years. Most conjectures had been unnecessarily complicated, since the secret proved to be remarkably simple. Inside the cabinet was an adult human chess master of average height and weight. The Museum of Hoaxes explains: “A series of sliding panels and a rolling chair allowed the automaton’s operator to hide while the interior of the machine was being displayed. The operator then controlled the Turk by means of a ‘pantograph’ device that synchronized his arm movements with those of the wooden Turk. Magnetic chess pieces allowed him to know what pieces were being moved on the board above his head.” Most of the other “workings” inside the machine served little purpose other than misdirection or the emission of noises that early-industrial-age audiences would expect such a machine to make. Notes: Herbert Spencer’s definition of “Life,” quoted on page 255, is from The Principles of Biology (1864–67). 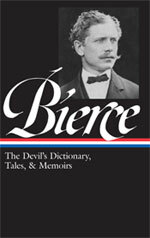 A few sentences later, Bierce alludes to British philosopher John Stuart Mill and his discussion of cause and effect in A System of Logic, Ratiocinative and Inductive (1843). On page 257, the quote “The endless variety and excitement of philosophic thought” is from The History of Philosophy from Thales to Comte (1867) by British historian and critic George Henry Lewes (1817–1878). “Are you serious?—do you really believe that a machine thinks?” . . . If you don't see the full selection below, click here (PDF) or click here (Google Docs) to read it—free!